I wish I had her long legs. fuller lips. thicker hair. perfect teeth. she's so perfect. if only I had her wardrobe. her house. I need to work out more. get a flatter stomach. I look fat today. why don't I look that good in photos? how does so and so get so many more likes than me? Why am I losing followers.. The thoughts were constantly running through my mind. Instagram and other blogs were becoming a place to compare myself. To be dissatisfied. Discontent. I was slowly being consumed rather than being the light and encouragement I know God called me to be. I am going to be real honest here. It is scary, and not easy for me to share, but so much of this life is not easy. Life was turning dark and I could feel depression creeping in. I had slowly been making this blog my idol. Focusing more on it, giving more energy to it, than my relationship with the Lord. Than being a good wife and mommy. It scared me, and when I started to believe that I was fat, that I needed more clothes to make me happy... I knew something had to change. From a placard at Hobby Lobby to the verse of the day on the radio, this was the word God kept putting in my face. It broke me. I was living this life, hating who I was yet trying to put on a mask and encourage other women! It wasn't working. One morning I heard the Lord speak to me, "are you willing to give it up for me?" I knew He was talking about my blog. The Instagram page. Everything I had invested so much time and thought and effort into. Could I? I wrestled for a few days, but ultimately I knew I could. I had to. It was a hard decision for me. I was in the middle of negotiating a plan to work with a dream company. A company that reflects my exact heart! But it wasn't working out. I struggled with disappointment. I believed lies that I wasn't good enough. It was the final straw and I decided to take a step back. I spent two whole months away from anything related to TBL. I stayed off any social media. Didn't check my email. I focused on my family. I got back in the Word. I prayed. It was like a breath of fresh air. More than that. It was like a huge weight lifted off my shoulders, like a fog cleared from my eyes. I had perspective back. I had joy back. I didn't need to worry about what anyone else thought. The pressure of needing to be perfect was no longer there. As the end of my fast drew near, I became nervous. Did I go back? It felt so good to be off social media, to not worry about likes and engagement and all that. Don't get me wrong, it is important. It is what brands look at when deciding to work with you. But ultimately, I saw it as worthless. It doesn't matter how much engagement I get in the long run, as long as I am obedient to what I am called to do. As long as I am speaking truth and light into other women's lives. That is how TBL started and that is how it is going to continue. From now on, I will post when I feel led. I'll let God do that talking, I'll let Him do the guiding and inspiring. And prayerfully, through it all, just one life will be changed because of it. I am still human. I still have struggles. I'm just more prepared for the battle. I have begun meeting with the sweetest lady who is quickly becoming a friend and mentor. I only post when I have something to say and I make sure not to spend my whole day on Instagram scrolling through photos. I love what Pastor Dave Love said in his guest sermon today, "Take the step, make the investment, and your heart will follow." Whatever we are investing our time and energy in, that is where our heart is going to be. I'm choosing to invest in my faith, my family, and you, my readers! I'll continue to do my monthly collaboration with Delayna. I had a great response with that collaboration, you guys love seeing things on different body types. The #momproblem series. I hope to do at least one a month and have my first in the works! Here I will feature a fellow mama and her personal mom struggles when it comes to fashion. I take you shopping, help you stye looks that solve these problems, and then feature you here! If you're interested in doing this, send me a message! (we can even do it through a style box type deal if you live out of state and would like to try it ;) I am beyond excited for this! More personal growth and encouragement. I want to be real with you all, my life is far from perfection! 1. You are far more than the clothes you wear, the job you have, or the house you live in. None of those things define you. You are a beloved child of God. You are beautiful, created exactly as you are meant to be. 2. It doesn't matter what other people think. Don't waste your time and energy worrying about that. I know it is hard. I know those are heavy chains that you can't break on your own. (if you ever want to talk, message me!) There is so much more to life. Ultimately our purpose is to love people and show them Jesus. 3. What you invest your time and energy in, that is where your heart will be. It is okay to take a step back from things that may be unhealthy for you right now. I had a couple people think I was crazy for stepping back from social media, that it was a business and I needed to focus on it now if I wanted to succeed. I know my success comes from God, I am just his and it was far more important to focus on my health and the health of my family. If you need to, take a break! 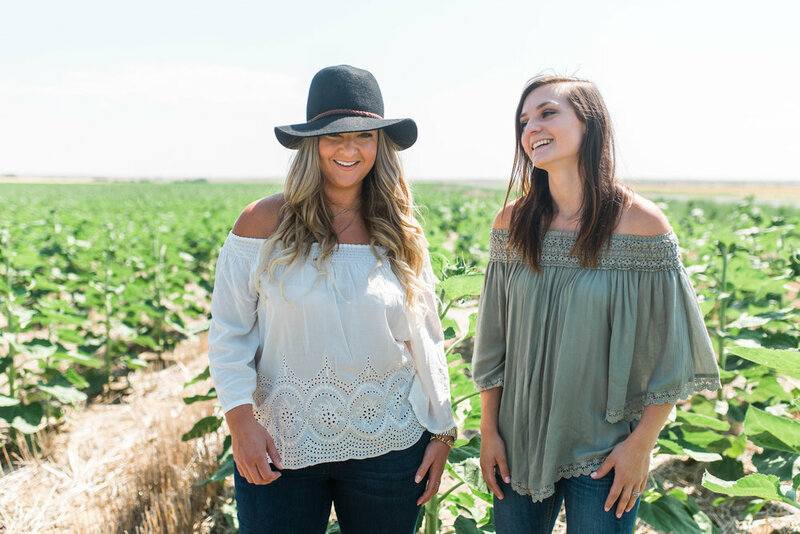 As a mom of three who works a part time job and is trying to start her own business career, I very much understand the importance of friendship and a girl's night. I have come to appreciate them so much more now. Sometimes you just need to take a break from it all and give yourself some TLC. As mom's, or just women really, we think we have to do it all. But we don't, and that is okay!! It is just as important to take care of ourselves as it is everyone else around us. For me, that usually looks like a night with my girl friends. There's just something about several hours of conversation that makes me feel empowered and encouraged. Talking about life, our dreams, goals. Encouraging each other in disappointments or discouragement. Laughter and even tears. My heart is always full when I walk away from a night with my girls, and often that is just what I need to keep going. When Katie Leigh Hutt reached out and asked if I wanted to be part of a networking shoot / girl's night in, I was definitely intrigued. Katie got all the brand sponsors and put together a lovely night me, Delayna, and a couple other Denver bloggers, Courtney, and Cara. 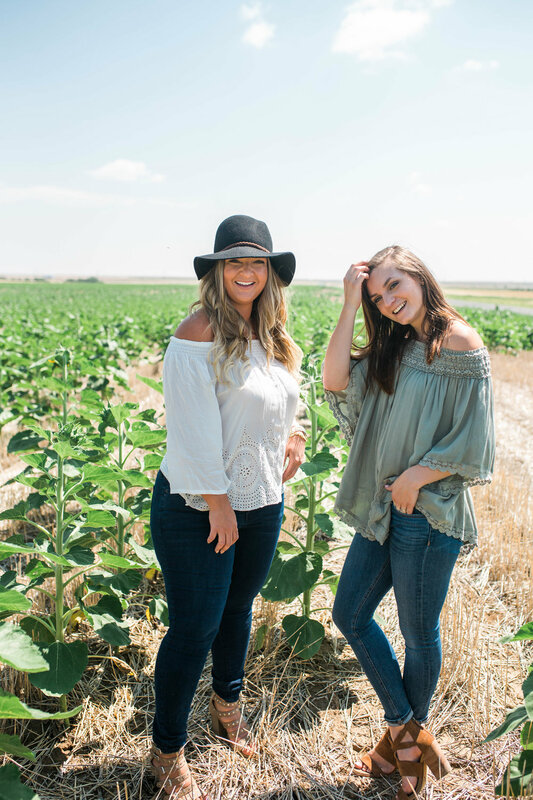 Chocolate covered strawberries, fun sunnies, flowers, and yummy wine, all on the rooftop of a beautiful apartment, overlooking a stunning view of Downtown Denver. (I have to mention, this dream of an apartment is available for rent if you're looking for a place in Denver!!) It was a beautiful night and I had so much fun getting to know these ladies a little better. I got a little dressy for this fun night. 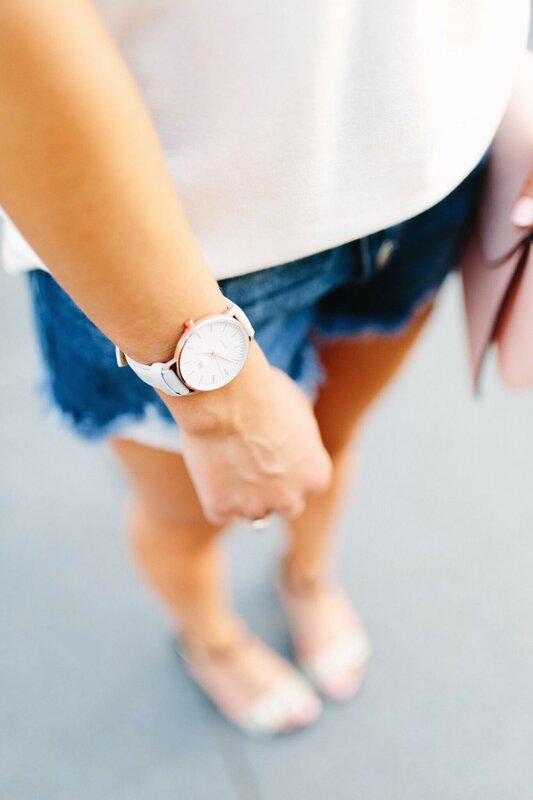 My absolute favorite combination to wear, and the one I feel most comfortable and stylish in, is a good pair of denim and heels. My absolute favorite jeans ever will not disappoint. They are so flattering and the softest denim I have ever owned. I recommend them to customers all the time and they are always sold the minute they put them on because they are that good. These heels are so fun, not too high and I love the cute ruffle details. The block heel and ankle straps make them easy to walk in. 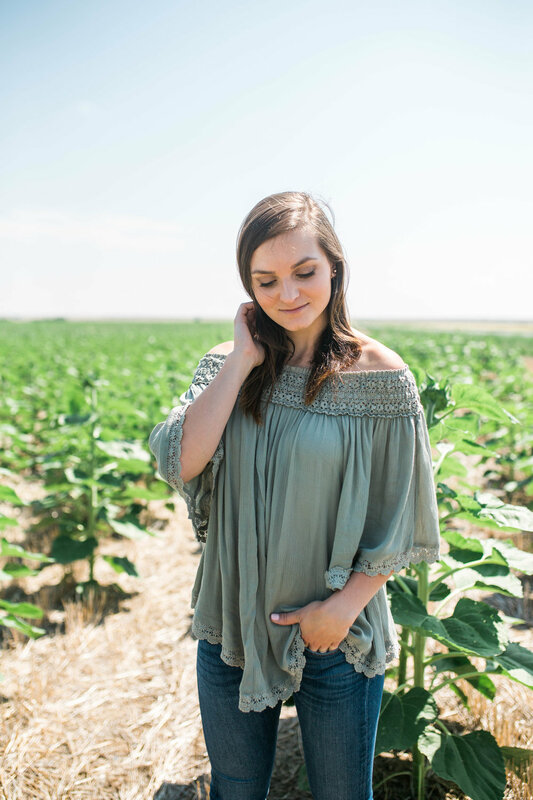 This silky tank is a dream, it feels so good on and the color is one of my favorites to wear! I also have to give a shoutout to the brands that made this night possible! Thank you for a fun night, and for bringing us busy women together for a night of fun! Colorado Glasses is a local brand that creates their sunnies using sleek wood that they dye with color. How cute are they?! They come in all different shapes and sizes to find any style. I absolutely fell in love with he pair that I got to wear for the night. Another local brand, Infinite Monkey Theorem crafts light, crisp wine that is available in cans. A smarter alternative for those backyard BBQ's, tail gate parties, and casual get togethers. Tie One On Wine Charms makes cute little accessories for all your stemmed glasses. Perfect for girl's night, bridal showers, or birthday parties! They add a fun little detail and pop of color. Taking time for yourself is important. Whether it is literally just with yourself or a group of your closest girl friends, it is vital that you keep yourself refreshed and encouraged. I'm sharing ideas with you for the perfect night of being refreshed! 1. Find a rooftop, bring snacks and your besties, chat and laugh until the sun goes down. Obviously this is a great option, but maybe you don't have a rooftop to do this on! Head to someone's back porch or a park instead! 3. Go shopping. Put together outfits for each other and try them all on, taking outfit diary photos as you go! Give honest feedback on what works and what doesn't and why! 1. Draw a hot bubble bath, light some candles, grab a good book to read while you soak. 3. Watch a chick flick, go for a walk, or go grab your favorite dessert. There is no doubt, Fall is my absolute favorite season. The beautiful blue skies and sunshine, yet that wonderful crispness in the air. The excitement of a new season that brings so many wonderful holidays. The fashion! Fall fashion is by far my favorite. I love the deep, rich hues, the boots, the skinny jeans, the scarves...everything about fall fashion just gets me excited! In honor of this love for fall, I am going to help you transition your looks to fall. Transitional seasons can be the hardest to dress for, the weather is changing but not quite enough to pile on the warm clothing. How cute are the ruffle details on this dress?? 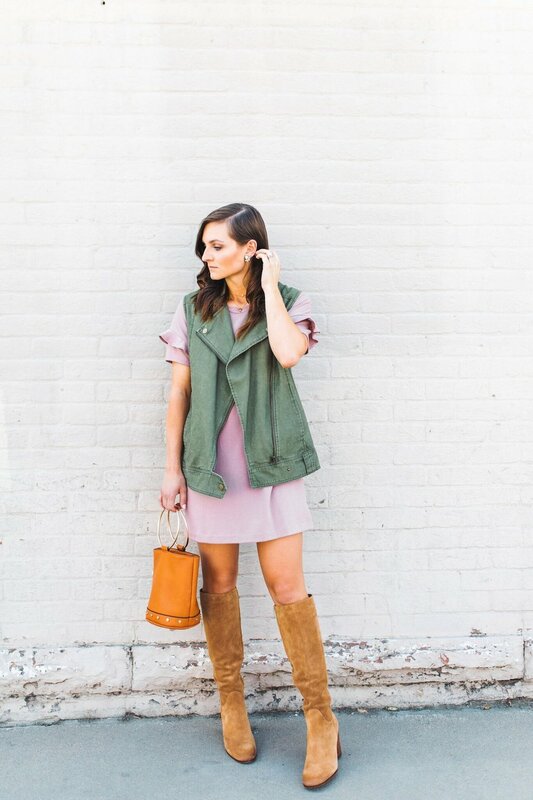 I love the look of it paired with the oversized vest. 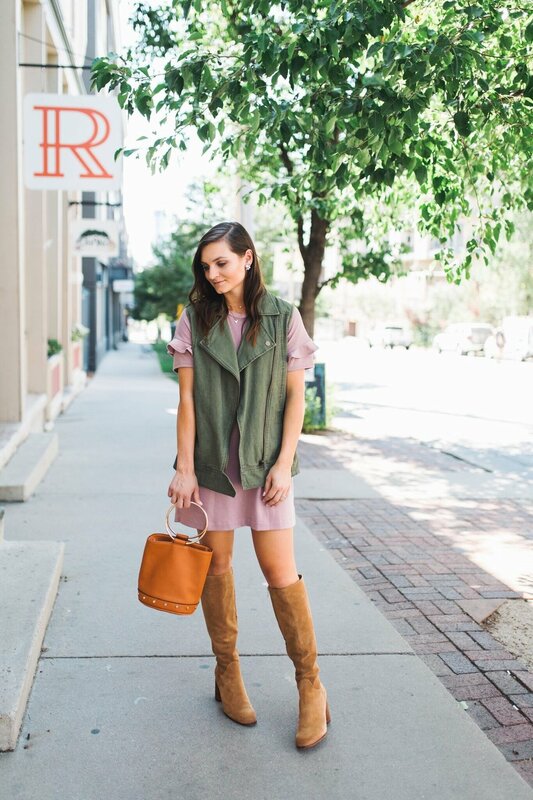 If there is one piece you need to have in your fall wardrobe, it is an olive cargo vest. They are the epitome of fall fashion and seriously go with everyyyything! Start pairing your lighter clothing with those beautiful, rich hues of fall. I love to check out the Pantone colors of the year for whatever season is coming. 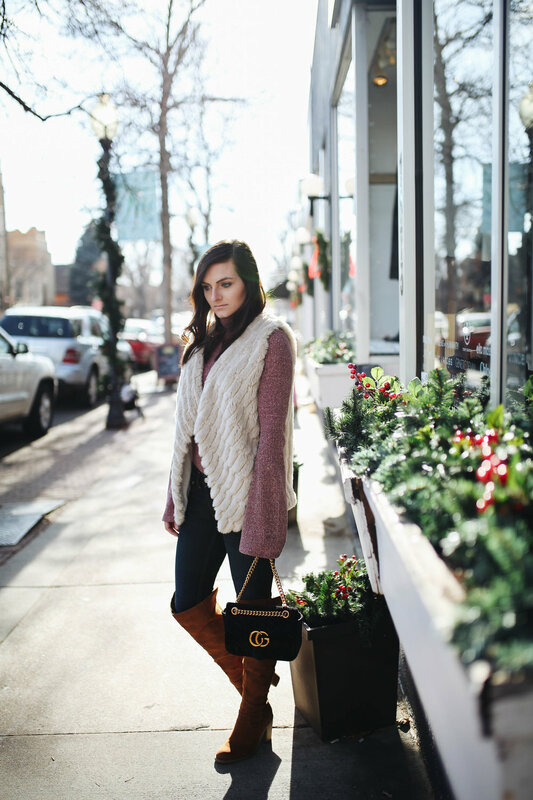 It keeps me updated on the trending seasonal colors and helps me style my seasonal looks! Light pink actually made it on the list for fall 2017, but it is also a great spring and summer color. 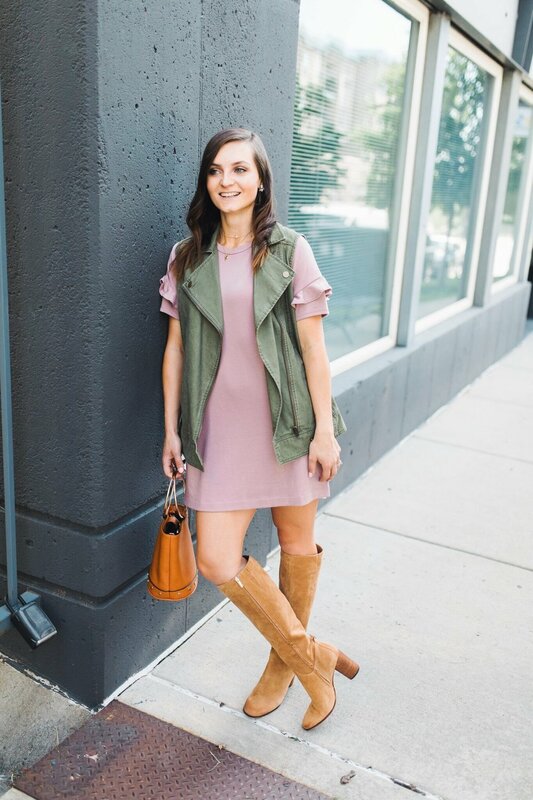 Olive and chestnut will always be staple fall colors, so they worked perfectly with this pink dress. Lastly, I just want to mention how heartbreaking the news of Hurricane Harvey is. If you are in Texas, New Orleans, or anywhere else that has been affected, please know there are so many praying for you and coming alongside you! I have done a small part in donating (and praying), if you'd like to do the same you can do so here. I am getting off topic a little bit, but I want my readers to understand one thing, shopping and clothes are not the most important things in life. 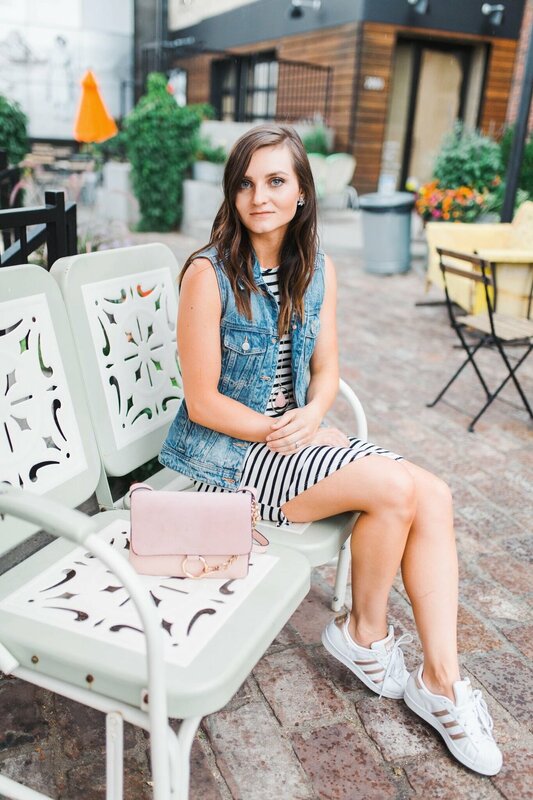 I have struggled with how to be a fashion blogger yet not fall into the stigma of pushing shopping and new clothes all the time. I know God called me to this, so I am learning how to find that balance! So, today I do want to share with you some ways to save money while shopping. Because I do enjoy it, but I also know I need to be a wise steward of the money God has given my family. We all know there are major sales during the year, Black Friday, Cyber Monday, and one that just ended, Nordstrom's Anniversary Sale. It may take patience, but make a list of what is on your wishlist and what you need. It will be much easier to shop without getting overwhelmed if you know what you're going for ahead of time. of course these sales only happen once a year, so what do you do the rest of the year? Wait. Seriously. Put your wishlist items in a favorites list for the site you are shopping and check back every few days or weeks, I promise, your item will go on sale! It may take patience, but if it saves you money in the end, it is worth it. And you'll appreciate it so much more. Shopping sites such as Ebay and Poshmark are great for bargain shopping. Again, it may take some patience and searching, but Ebay is a great place to find the items you want for amazing prices. I always check Ebay first when shopping for name brand denim, shoes, and jewelry such as Kendra Scott. Like Ebay, Poshmark is another great site to find good deals. What is best about Poshmark is all the boutiques on there selling on trend items. You will most likely be able to find a close look alike for a fraction of the cost. You can find my Poshmark closet here. Ebates receives a commission from stores that send customers their way, but they don't keep it all to themselves, they share it with you! You get a percentage back on every purchase you make through Ebates! It is completely free, all you have to do is sign up! Ebates is partnered with over 2,000 stores, meaning your favorites are most likely on there. All you have to do is click on the store you want to shop at on the Ebates home page. Ebates then tracks the order made and you earn anywhere from 3% to 10% cash back. This is a great way to shop, especially around the holidays or birthdays when you have to do some shopping anyways! You can sign up here! I hope you enjoyed today's post and found it helpful! Please let me know what you thought of this post and if you would like to see more things like this! Appreciate you all!